Don’t trip over cables and wires – hide them. Create a smooth finish with floor-level transition profiles. This edging is a decorative element which can be easily clicked into the Euro-Home Twin Clic joint. 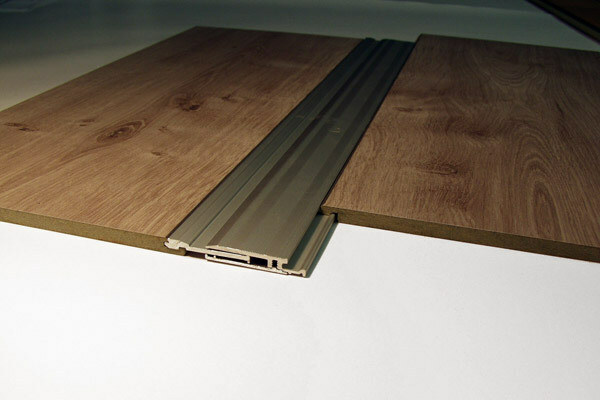 Use to separate different floorings or simply as a decorative element. 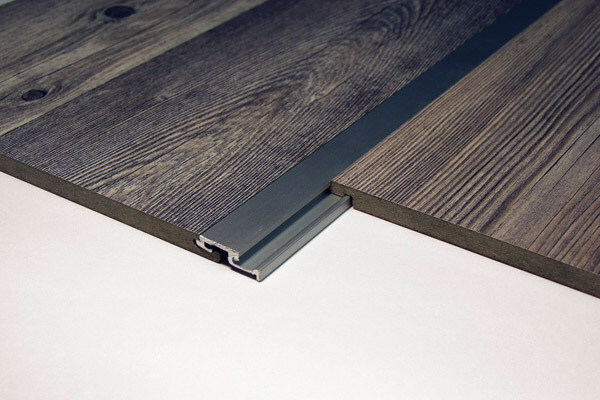 This profile, developed for the Euro-Home Twin Clic joint, allows for an expansion joint to be inserted virtually flush to the floor, eliminating trip hazards caused by raised edges. Easy to install – no screws or drilling needed.